Vend is a retail POS software, inventory management, ecommerce & customer loyalty for iPad, Mac and PC where you can manage and grow your business in the cloud. The layout is so simple and it is easy to use. The system has very good stock control and reporting capabilities. Also, if I ever needed any help or needed to know anything, the VEND team were very quick to respond with excellent customer service. When I first started the signing up process - I did receive an overload of marketing and 'help' emails, which I thought was a bit excessive. I did end up needing help at one point but I contacted them directly - I didn't read most of the emails sent to me at this time as it was an overload of repeated information. I highly recommend using VEND for your Point of Sales System. It's excellent with stock control and there are many different reports (and filtering through the reports) made it easy to pull the information I needed from the system. The front end design, is very easy to work with and it is a basic layout - anyone should be able to use this with ease. Being a new retail business - one of our main concerns were being able to have accurate stock control and reporting. Using the VEND POS, and with the help of the VEND team, we found the right reporting tools to fit our needs. ""Vend: A Great POS System""
Vend empowers you to set up your POS system effectively, it is a cloud based organization so you can stimulate the tab and open another tab in your web program without losing any information. They system is extremely simple to utilize and completely prepared to changes. My most loved viewpoints are the esteem and cost. You appear to get such a great amount of item at such a less expensive cost than its rivals. I additionally preferred that we could utilize our current money cabinet and receipt printer with Vend. Vend has an extraordinary client bolster group who are constantly prepared helping us when we go over any trouble utilizing item. It has restricted space and can be troublesome working in various outlets. I would prescribe Vend to anybody in retail hoping to refresh their POS. It is easy to utilize. We use Vend for staying with precise inventories. Messaging receipts, gazing upward past exchanges, following the patterns in deals and following deals numbers has been made simple by Vend. 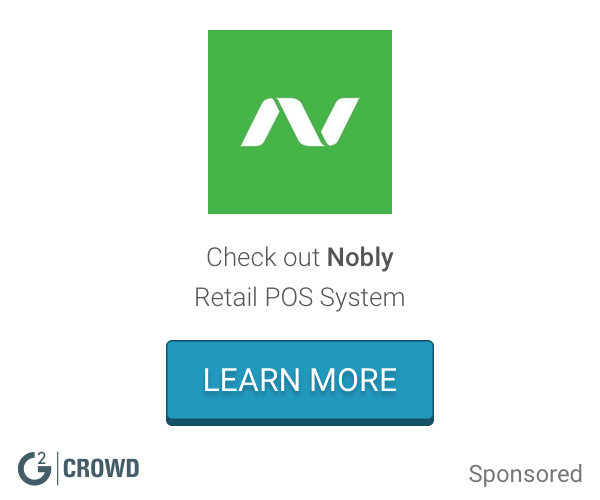 ""Vend is truly adjustable and ideal for retail situations."" Distribute enables you to set up your POS framework easily, it is a cloud based administration so you can invigorate the tab and open another tab in your internet browser without losing any data. They're framework is very easy to use and entirely ready to tweak. I don't have any aversions about VEND, they have extraordinary client administration and a referral program and update their item. I very prescribe utilizing VEND for your Point of Sales System. It's brilliant with stock control and there are a wide range of reports (and separating through the reports) made it simple to pull the data I required from the framework. The front end configuration, is anything but difficult to work with and it is an essential design - anybody ought to have the capacity to utilize this easily. We constructed our POS framework, changed from quickbooks over to VEND on the grounds that quickbooks was excessively constraining and VEND enabled us to have a completely altered and incorporated framework that coordinates with mailchimp, our mailing list, our Mastercard preparing, our iPads and substantially more. "VEND is very customizable and perfect for retail environments." VEND allows you to set up your POS system with ease, it is a cloud based service so you can refresh the tab and open a new tab in your web browser without losing any information. They're system is very user friendly and very able to customize. I do not have any dislikes about VEND, they have great customer service and a referral program and update their product. We built our POS system, switched from quickbooks over to VEND because quickbooks was too limiting and VEND allowed us to have a fully customized and integrated system that integrates with mailchimp, our mailing list, our credit card processing, our iPads and much more. "Vend is a beautiful blend of reporting and tracking combined with a fresh interface"
I'm a graphic designer by trade. I started a retail store. Many of the programs that had a great user interface did not have the robust tracking I was looking for and vice-versa. After 2 years, 2 systems in action and many others vetted, Vend is everything I was looking for. I can view nearly all reports I need. However, I have wanted some special hour-by-hour tracking over months available to me. I'm sure it's on the development list. Go for it. They listen. They help. The software is easy. It works offline. There's no major contract. You'll be up and running quickly! I vetted 11 different systems. I used 2 systems before Vend. I'm using the best. I have a general store with over 2000 SKUs to track. Vend handles it well. That's time saved and a little peace of mind compared to where we were with another system. "Superb software, incredibly easy to use." The fact that it's easy to use and can be picked up really quickly. It's very important for new starters in a company to be able to understand the POS software without any issues, Vend makes this possible. The ability to add standard widgets would be a plus. Perfect for new starters as the software is very easy to get used to. The ability to track sales of items in order to maximise profit. I was able to access Vend from my home PC in order to rectify issues and queries set by new members of staff. Stocktaking was also much simpler using Vend on my mobile phone. "Simple to use but actually quite capable POS solution"
I like the inventory management integration and the flexibility with payment methods. It also works well on both a PC/web and on iPad, which allows us to travel with our POS system easily. The register does integrate with our website for inventory management through a 3rd party service, but it doesn't prevent us from accidentally overselling an item. If you need to have many products/SKUs or have more than one register (location) than Vend is highly capable for this purpose. Multi-outlet inventory management and syncing. I like the Vend help section best. They have a genuine interest in the helping solve any problem. Vend is limited. Number dont alway add up. Not having the ability to cost freight into COGS automatically is frustrating. We do that manually, spreading the cost across items. It is a great POS experience and stock control is quite good. The gift card function is great. I love that I can access Vend from any computer. It makes my life so easy since I’m not always in my store. I dislike that when I sell something as miscellaneous, I can’t see the sales history of this product type. I’m making better choices when reordering. I also love that I can track the store credit for customers. "Vend is a nice out of the box retail management system"
It's an all in one solution that manages our sales, inventory, and payment processing. Tasks do not always go back to the start screen when you complete them so you either need to hit back or start over. I also wish I could have a second warehouse to put RMAs, MRB, etc but they charge for this. It's a great product. We use it with Paypal Here and it integrates fully with it. It manages our retail sales, inventory, and payment processing. It allows us to have multiple sales people and track them individually. It is very easy to use, doesn't take long at all to train new employees to use it. I really like that I can access the information from anywhere to keep an eye on the shop. I like that the credit card sales are linked to the POS system, the credit card payments automatically record for each transaction. There's not much that I don't like about Vend! It is all so easy to use that I haven't found anything that I don't like about it. Vend has really been beneficial to our shop! I recommend you trying it to see if it fits your needs. Our inventory was a nightmare until we got Vend, now it is the most accurate it has been in years! I enjoy the user friendliness of Vend. It is a great POS system for a new business owner like myself. The back office is super easy to navigate and there are tons of apps that can integrate seamlessly. Vend's customer support is also top notch with links to help solve issues and plenty of guides if you'd rather work through it alone. The few issues that I have with Vend are minor. They are always updating and adding to the features. I can't even think of an example! The reporting features make it really easy to handle things like book keeping and inventory control. "An overall good choice for Inventory needs"
The program is somewhat easy to use. If there is something you are unsure of, it is easy to find out how to use it. Adding products is pretty easy to do, with only one page fill out and one submission page. It is also nice to change the inventory count when needed. Pulling up the report sales is very nice. I especially enjoy the date range option to get a clear idea of what has been sold in a certain amount of time. We use Vend along with Shopify and it can be very tricky to tell which program is changed. Vend can change and allow for things to transfer to Shopify, but it is not possible to change things in Shopify and let it carry over to Vend. This has been difficult to counter in the past, but if we only change the details in Vend, then Shopify will be changed as well. Vend has made it significantly easier to keep track of inventory. It allows for us to save time by not having to count the products over and over again.. It is easy to take things out of inventory on the web format and running reports has become significantly easier. I would recommend to any startup business especially. I love that we are able to offer our customers loyalty cash. It keeps them returning and referring their friends to us. It lacks things like being able to change product cost at the register and the inventory reporting falls short. Vend gives you bonuses like loyalty cash for your customers, is easy to navigate, and connects with our Airsquare website. You definitely get more bang for your buck. We were spending $200 a month extra on a loyalty program plus we had a website that did not "talk" with our point of sale. With Vend the loyalty program is included and our website updates with our inventory with Vend. It makes life easier and saves us money. "Easy to use POS system"
I really like that it so easy to set up and use. Vend is a real time solution that offers a clear,effective & accurate selling. it has not been so long that i use Vend but so far so good. i highly commend this software for similar business that deal with retail selling. I highly commend Vend as it is accurate when it comes to retail selling. Ease of use! Searching is made so easy!! Not a full accounting program, like Quickbooks. Inventory control is finally under control. Printing labels with or without SKU's or pricing is really helpful. "Easy to use product, but business threatening support"
Simple to set up. Clean interface. Cloud based. Terrible support that is not fit for purpose. Lacking the power of many other ePOS systems (Lightspeed, ePOS Now, etc - you name it! ), but very easy to get running and easy to use for store which don't expect to grow very much. HOWEVER - After running into our first problem after 3 years as a loyal customer, we get this appalling level of customer service considering it is a business critical app. See below (after problems with HSBC, our Vend account was automatically cancelled by "the system" despite humans telling me not to worry). It's because you tried 4 times on the same card number!!! Please see support ticket number 265489. I offered to pay the outstanding amount by Internet banking transfer while HSBC got its act together sending a replacement card to me. I've done this with all my other vendors, but you declined, and instead told me to sit tight (see email below from Dave) and wait for the card. HSBC is on its third attempt to get the a new card (having supposedly send the first on 23rd March, but it's still not here!). We've been a good customer of yours for 3 years now, and this is our first problem. Please re-enable our account immediately and let me know when it is done by phone or email. As we don't take payment via internet banking I'll ensure the account is kept open until the new card arrives. Your Vend support ticket 265489 has now been marked as resolved. You can view the full conversation and reply here or you can simply reply to this email to re-open it. We've made several attempts to bill the credit card on file for your (VendHQ.com Subscription) VendHQ: Size Large (L) account (XXXX-XXXX-XXXX-3534). Unfortunately, each of the four attempts to charge your card have been declined. As a result, your account has been canceled. Thank you for giving Vend a go. If you would like to sign up for a trial again, please do. "excellent system, great customer service "
easy to use, easy to navigate, easy to process all transactions and emailing receipts is awesome, save a lot of paper. Nothing about this system I dislike. It is very easy to use and easy to naviagate and the transition was easy. emailing receipts, looking up past transactions, following the trends in sales and tracking sales numbers. tracking inventory is very easy as well. Some features need updating, a few things we can't do. Definately give it a try! It's worth it! It has all the basics covered and easy to use/manage. We can run reports and look at data from previous years to help us with staffing levels, food production etc. "Experience of using vend from a small retail store (and online store)"
4. Able to track discount codes / select types of customers better. For example, we have tour groups coming in, and we need to track sales in order to calculate commission. However, our employees have a hard time physically entering "customer group name" every time. So it would be great to have a feature where we can log all customers within a time period to a single "customer group". Vend meets all basic retail needs in our store. For pop-up sales, I have really appreciated Vend's offline functions, as well as how well it runs on ipads and iphones. In our stores, the employees are able to learn the system fairly quickly. However, there are some problems integrating Vend with our e-commerce platform, Shopify. We are a small retail store, and we want to make sales both in stores and online using one tracking system. Vend provides us the platform to do so. Our employees have had a generally positive experience using Vend, and it integrates with our online store well. "VENQ THE BEST IN POS BUSINESS"
THE REPORTING FEATURE IS EXCELLENT. YOU CAN ANALYSE YOUR BUSINESS BASED ON THE DATA WITH THOSE REPORTS. THIS POS SYSTEM IS USER FRIENDLY AND YOU CAN ADMINISTER MULTIPLE LOCATIONS FROM A CENTRALIZED LOCATION. SINCE I STARTED USING I HAVE NOT CAME ACROSS ANY THING NOTICEABLE. THE REPORTING FEATURES ALLOW YOU TO MAKE CRUCIAL DECISIONS ON Y OUR BUSINESS IN A TIMELY FASHION. WHETHER IT IS RELATED TO CASH FLOW, DATA ANALYSIS GIVES AN OPPORTUNITY TO CONTROL YOUR INVENTORY AND ALLOWS YOU TO PURCHASE SUPPLIES AHEAD OF TIME OR JUST IN TIME. "Very Pleased with Trying a New POS System!" Ease of use; training was simplistic and staff really like the inventory functions! Not able to take an old school process and make it happen in the new one; growth is good though, right?! You will be presently surprised with how easy Vend is to impliment; I recommend training a super user and then rolling out one location at a time to work out all the bugs. We started at our busiest location to be certain anything that could possibly pop up as an obstacle, would; nothing huge occured (which was amazing!). Easy inventory counts; accurate on hand numbers and they communicate with our on-line Shopify store! "value for money for our business size"
The product is easy to use and integrates well with the Xero accounting solution. The recommended hardware worked as specified and has been reliable. Reporting not flexible enough. Support does not try to understand specific problem but provides a generic solution. This solution minimises the administration requirements of running our single store business. "VEND has helped my retail business mature. " VEND intelligently accounts for multi-aspects of the business. It is a point of sale that not only handles sales of product, but it also attributes the costs of those products, the fluctuation in pricing when ordering those products, the separated sales taxes (State vs local). They actually utilize the data that is collected, so the reporting mechanisms are AMAZING! The newest reporting platform. I wish for more integrated payment options and am hopeful for VEND to handle payments themselves one day like Square or Shopify. Also, their online store system is still a little #basic and lacks the functionality to justify using it. If you are a retail store, first, and an online/trunk show/wholesale business, second, then VEND is a good fit. Also, evaluate the costs of your options and see if sophisticated inventory management among other features are worth the additional monthly costs. The reporting has really helped me make intelligent decisions regarding my product mix. After analyzing the data presented, I learned that 20x of my SKUs (45 x SKUs in the line) account for over 80% of my revenues. This information helped me realize the nightmare for managing the inventory and production of those remaining 25x SKUS may not be worth it. We are since evaluating product line cuts and I have VEND to thank. The Quickbooks Online integration is also saving me plenty of time in what used to be manual journal entries for Cost of Goods Sold. "Well intentioned software, riddled with bad design choices"
Reporting suite offers decent financial reporting. Quick keys system seems to work well, especially with touch screen hardware. Possibly could be of value if you were running a business like a coffee shop. Vend suffers from a number of incredibly poor design decisions that make it very difficult to recommend. Clumsy navigation and user interface make performing simple tasks a chore. The inability to have open accounts, or to add and remove items from a customer's account is incredibly frustrating. The inability to alter a client's contact details is baffling, and frankly inexcusable. If a client changes email, for example, you can't update their details - you need to make an entirely new profile and lose all of their sales history. It beggars belief that after years on the market this remains unsolved, especially in the face of competing software that seems to have no problem with such basic tasks. There is no serviceable gift voucher system whatsoever. Tracking sales history for individual items is a nightmare, especially if you want a report on one variable of an item. We regularly have stock discrepancies appearing due to connectivity issues with the cloud. There are other, stronger products on the market. Our intention with Vend was to install a point of sale system that would let us manage and increase our contact with, and understanding of, our client base, whilst streamlining our stock management and improving our retail experience. Despite what we were promised going in, it has become increasingly clear that this is simply not possible with Vend. "Simple, effective, easy to use!" The best thing I like about Vend is how easy it is to use and how little training is required to be able to use the system when serving at the shop I volunteer at for fundraising purposes. It makes fundraising so much more enjoyable, rewarding and profitable. There is nothing I really dislike about Vend. "They listen and take action"
The only thing is the speed in which the app connects to a PayPal reader. Inventory was a huge hurtle for us but VEND has helped us overcome that. Vend really allows for businesses of all sizes to create ease in how transactions are processed and recorded, making it easy for bookkeeping and smooth operations both behind the sales counter or in an office. The system is easy to use for sales associates. Vend could be fixed in certain areas particularly regarding offline functionality since this was one of the more common problems we faced when working with the interface. In addition, special sales codes we created were often difficult to work with and for some reason multiple codes would appear out of one intended code and the system would not integrate these codes as we would have liked. When working with Vend, we realized that one of our biggest issues was with employee learning and training. We were able to host employee training sessions where sales associates learned the ins and outs of Vend and achieved great efficiency in our stores because of this. New employees were receptive to Vend and excited to use the program. Would be nice to have a more visible and accessible training guide for sales associates created by Vend. "Vend for a small business "
I like that you can make sales offline. It is easy to use. Easily tracks sales. Overall our employees like this, however I prefer Square over Vend. Printing and return processes could be easier. We should be able to track discount codes/specific sales easier to see the effect on the business. It meets all basic needs for a small retailer, however it doesn't present any outstanding advantage over square. As a small retailer Vend meets most requirements, but I still prefer Square over Vend if we decide to expand and grow. Vend allows you to make online and store sales on the same platform which is great for a small business. It helps streamline things. We had problems linking to shopify at times, so this could be corrected. "Vend great for local business"
It is very user friendly, they are always creating newer and easier ways to use it. Works great for in store selling. If selling online consider adding other vendor. They will respond quickly to any need you have, they are always looking for better. Editing existing product in system was difficult, but after reaching out to Vend and waiting a week or two they updated the system and make it easier to edit existing product. They also made it easier to create new product for the system. "A simple and comprehensive stock and POS system." Perhaps the best thing about Vend is it's user friendliness. The interface is easy to learn and operate — which makes training employees a breeze. I wish I could lock a register to a location. We deal with the tracking a lot of inventory in 4 different locations. While our stock numbers will never be perfect reflected, Vend allows us to see a pretty accurate snapshot. As head of my company's e-commerce, I love that I can push products directly from Vend to Shopify. Ease of use and to train new workers in 1 hour or less. Ability to see trends and sale numbers by day, month, hour. See peak times. Inability to cancel mischarges to different store accounts. e.g. sale associate presses store 1, instead of store 2, by accident and you can't change it easily. Returns are difficult too, because discounted items have to be calculated on the side and added to the sale again. Do it if you are a brand new business with a lot of temporary workers (and stable workers). It's really handy for the managers and workers. Training a large population of temporary workers quickly and easily. Easily see sales and trends and analyze optimal store time. Use POS everywhere - off site when I am in class, at home or on vacation. Vend is a low cost cloud based product that offers centralised management.. The interface of Vend is is behind the times and report functionality is very disappointing i.e. not user friendly or insightful. They have also presented some wacky data over the years which makes me not trust the reports it generates. It's horse for course. Just because it didn't suit our business, doesn't mean it won't suit yours. Be mindful there are heaps of options in this space so shop around before you commit. If you can, use on trial first. Retail and hospitality point of sale. "VendHQ makes selling in our retail stores seamless. " As a manager, I appreciate the fact that all of our different sales associates can made their own user profiles. This makes keeping track of the performance of each sales associate easier for our business. VendHQ is an overall great platform for us to do our sales, but can sometimes (not often) be slow. We're trying to make selling at our 3 different store locations, as well as any other tenting events where we're off a desktop, easy, trackable, and reportable. VendHQ can do all of these things, as well as give us details reports on all of our sales history. I love tahat! "Very easy to use and very versatile"
"Vend has been an awesome and reliable tool for us"
The cash reporting system can be improved, I would also like to see a referral rewards system to encourage customers to recommend others and get rewarded. VendHQ has been instrumental as we have grown our online retail store. VendHQ simplifies the entire process allowing me to focus on other parts of my business. What I truly love about VendHQ is being able to visualize the stores performance in real time and track how well all my products are selling. I have no complaints so far with VendHQ. Once I was able to set up my store with VendHQ everything has gone very smoothly without any setbacks. I needed major help in organizing my online retail branch of the company. Using VendHQ I am able to really understand how my customers are viewing my products and lets me maximize my stores potential. VendHQ has also allowed me coordinate my work much more effectively and would certainty recommend this product. "If you are a large company then this is usually for temporary fixes"
This product makes it very easy to manage one store's inventory and sales without spending large amounts of money on a MPOS system. The upload system is pretty nice. This seems like a temporary fix for large companies until they get their main POS system up and running. We have been using it in Canada as a short term fix until we get our POS system up and running there. Our company is new to making transactions in foreign countries so this is a learning experience. Simple yet everything a small business retail space needs! Very easy to teach and use. Very slow to be compatible with new iPad updates. Inventory made easy. Ordering from third party. I liked the ease of the sale window and the features like the shortcut buttons that can be used and color coded. We were not able to do a whole inventory count very easily when using vend. I would recommend vend to anyone in retail looking to update their POS. It is easy to use. "Not really the best thing if you like having "inventory" be "consistent""
Very simple checkout experience, general ease of use. Complex inventory breaks this thing completely. We had to do cycle counts weekly on a tiny store to keep our inventory in check. Go with a real POS like Lightspeed if you're going to have complex inventory. Selling things to customers. Benefit was ... getting money for things. "Too early to say... "
It's great at calculating sales tax across various jurisdictions worldwide - country/state/county/city. There are not enough loss prevention controls in place. There are constant issues in getting Vend to balance at the end of the day. Be sure to trial the solution at a single site before committing to a full implementation. Our company conducts business around the world and requires a flexible POS solution. Vend integrates with some other services, more of which would be great. "Responsive Customer Service, Improving Interface"
Their customer service and software engineers have been very nice as they responded to the needs of our store. This is really important to us in general as a company that also values responsive customer service. The platform is also fairly intuitive and integrates nicely with stock. It's good that they have good customer service, because front and back end we consistently face issues there. We are solving the need for a POS system that is consistently being updated with the changing market and technology. The benefits of having something like this in the cloud also serves our multiple store locations set up well. We integrate Vend for publish product also on a POS system and Vend is very good. The team in vend is nice and helpful. It's a very good product. Nothing, it's good for our integration. Download Nembol and try Vend, it's very easy to integrate. We publish product online also on a POS system. "This is THE BEST service ever!!!" We opted for the premium phone support because we were setting up our college book store from scratch. It was well worth it and their ability to help has been 100% effective! "Easy to use, straightforward "
Vend makes it easy to inventory items and keep everything organized. I wish there was a way to keep some default settings when entering a bunch of inventory items at once. For example mark up amount etc. * We monitor all Vend reviews to prevent fraudulent reviews and keep review quality high. We do not post reviews by company employees or direct competitors. Validated reviews require the user to submit a screenshot of the product containing their user ID, in order to verify a user is an actual user of the product. Hi there! Are you looking to implement a solution like Vend?